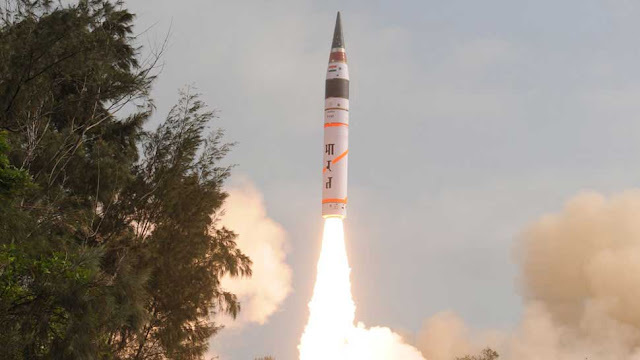 India successfully test-fired its indigenously developed nuclear-capable Long Range Ballistic Missile Agni-5, which has a strike range of 5,000 km, off the Odisha coast. The surface-to-surface missile was launched with the help of a mobile launcher from launch pad-4 of the Integrated Test Range (ITR) at Dr Abdul Kalam Island in the Bay of Bengal. All the radars, electro-optical tracking stations and telemetry stations tracked the vehicle all through the course of the trajectory. All the mission objectives have been successfully achieved. The missile features many new indigenously-developed technologies, including the very high accuracy Ring Laser Gyro based Inertial Navigation System (RINS), and the most modern and accurate Micro Navigation System (MINS) which improves the accuracy of the missile. At present, India has in its armoury the Agni series — Agni-1 with 700 km range, Agni-2 with 2,000 km range, Agni-3 and Agni-4 with 2,500 km to more than 3,500 km range. It will be awarded the honour on World Environment Day on June 5, Environment Ministry sources say. 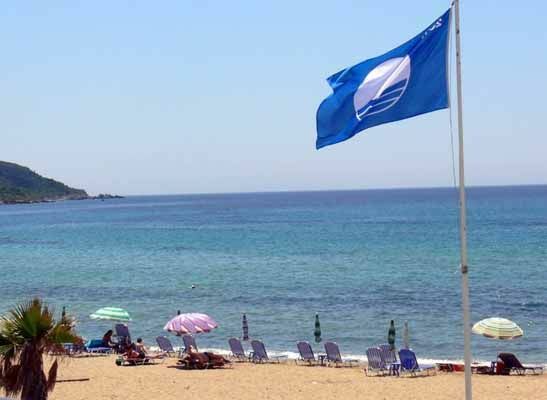 The Environment Ministry embarked on the Blue Flag project in December 2017. The government announced the launch of 'Krishi Kalyan Abhiyaan' under which farmers in select villages will be given assistance and advice on ways to improve farming techniques and raise their income. The abhiyan, which is already underway from June 1, will be operational next month, aims to help farmers in 25 villages in each district identified in consultation with the Rural Development Ministry as per the direction of Niti Aayog. Training programmes are being conducted in each of the villages by ICAR/KVSs for bee-keeping, mushroom cultivation and kitchen garden. Women participants and farmers will be given preference for the training program. 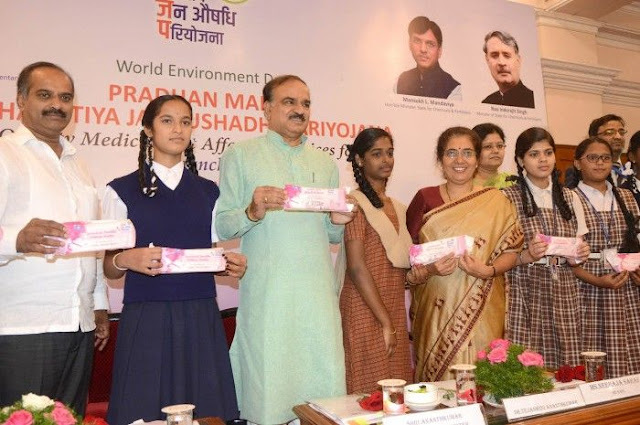 Union Minister of State for Chemicals & Fertilizers, Road Transport & Highways, Shipping, Shri Mansukh L. Mandaviya, launched the ‘JANAUSHADHI SUVIDHA’, the Oxo-biodegradable Sanitary Napkin, under the Pradhan Mantri Bhartiya Janaushadhi Pariyojana (PMBJP). The affordable sanitary napkins will now become available at over 3600 Janaushadhi Kendras functional in 33 States/UTs across India, as promised by Union Minister, Chemical & Fertilizers and Parliamentary Affairs, Shri Ananthkumar on March 8, 2018 (World Women’s day). Ayan Gogoi Gohain was unable to speak after his third birthday. Today, at 4, he is the author of a book of anecdotes. 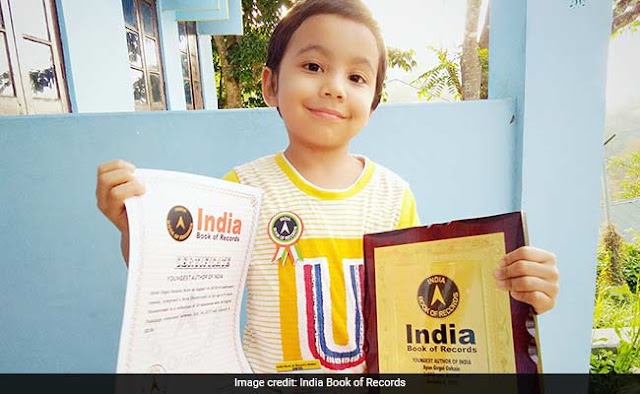 The India Book of Records had in May adjudged Ayan as India’s youngest author. But he never wrote a word; he recorded his daily experiences through an app he made his mother download on her mobile phone and shared the audio clips with his grandfather via WhatsApp for safekeeping. The 80-page book has 30 anecdotes and 30 accompanying illustrations by Ayan. Union HRD Minister Prakash Javadekar said the government has decided to reduce the NCERT syllabus by half as it is “cramped”. 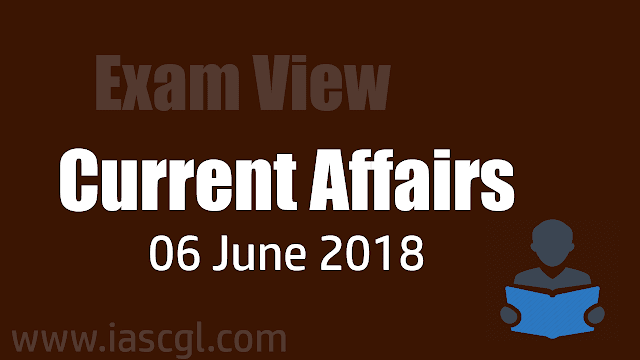 HRD Minister proposed amendment to the Right to Education (RTE) Act, which reviews the no-detention policy and empowers states to conduct examinations for Class 5 and 8 students, is expected to to be tabled before Parliament in July. Along with studies, a child needs to have physical education, life skill and value education as “education is not just memorising and putting it down in answer sheet”, Javadekar said at a press conference. “Education is comprehensive, to put to use one’s cognitive and analytical abilities. That is true education… The NCERT syllabus is so cramped. Hence we have decided to reduce the syllabus by half", the minister said. Odisha govt. has launched a new Health Insurance Scheme for Journalists. This welfare scheme will be launched in the name of Gopabandhu Sambadika Swasthya Bima Yojana. Under this scheme, all the working journalists will get an insurance coverage of Rs. 2 lakh per annum. This scheme will be operational from 1 June 2018. Initially, around 3233 journalists from different media groups will get this Insurance Coverage. Moreover, atleast 5 members of family of Journalists can avail the scheme benefits. All the journalists can avail the benefits of Gopabandhu Sambadika Swasthya Bima Yojana with the use of a new Health Insurance Card. All the media persons (scribes) can obtain their Health Card from District Information and Public Relations Officer (DIPRO) in their respective districts. Saudi Arabia will issue licences to women drivers after a decades-long ban on equal rights between sexes behind the wheel. The move comes as Saudi Arabia, the only country in the world where women are not allowed drive, prepares to lift its decades-long ban on female drivers on June 24. 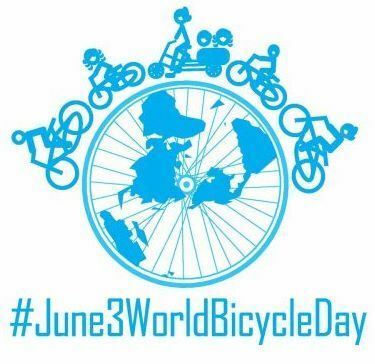 On June 3, 2018, the first official World Bicycle Day was celebrated. Vice-President Venkaiah Naidu flagged off a mega cycling event in New Delhi. New Delhi is one of the three cities in the world where major events are being organized to mark the day. Berlin & New York are the other two places. The day is celebrated to raise awareness about the multiple societal benefits of using the bicycle for transport and leisure. The day, which is celebrated for the first time this year, was approved on 12 April 2018 as an official United Nations day. 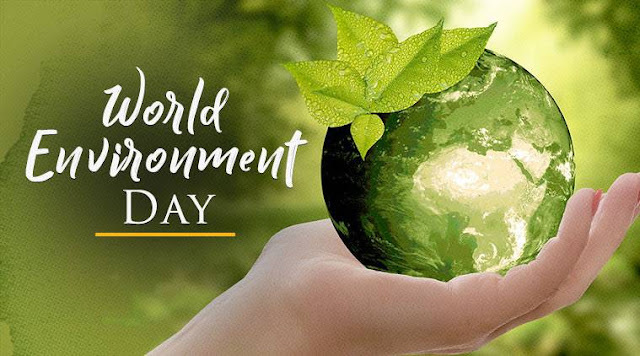 On June 5 every year the World Environment Day is celebrated worldwide and is promoted by the United Nations Environment Programme (UNEP). World Environment Day was established in 1972 during the United Nations Conference on the Human Environment. This year's host is India; India is the global host nation for the 43rd edition of this event. The theme for the year 2018 is “Beat Plastic Pollution”. Act One: The Environment (Protection) Act, 1986 defines environment as “environment includes water, air and land and the interrelationship which exists among and between air, water and land and human beings, other living creatures, plants, micro-organism and property”. MK Jain, the MD & CEO of IDBI Bank, appointed as the Deputy Governor of the Reserve Bank of India (RBI). The seat was filled after former Deputy Governor SS Mundra ended his three-year term in July 2017. Jain, an MBA, FRM (financial risk management) and post-graduate commerce, has been the MD and CEO of IDBI Bank since March 2017. Prior to that, he was at the helm of Indian Bank. Jain was elevated to the post of MD and CEO of Indian Bank in November 2015.